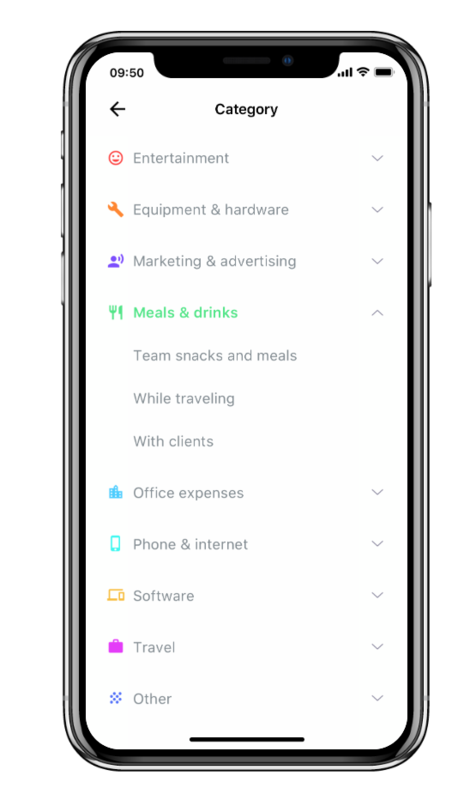 Our Categories feature allows employees to assign expenses to a line in your chart of accounts and pre-select a tax code, without even knowing they are doing it. 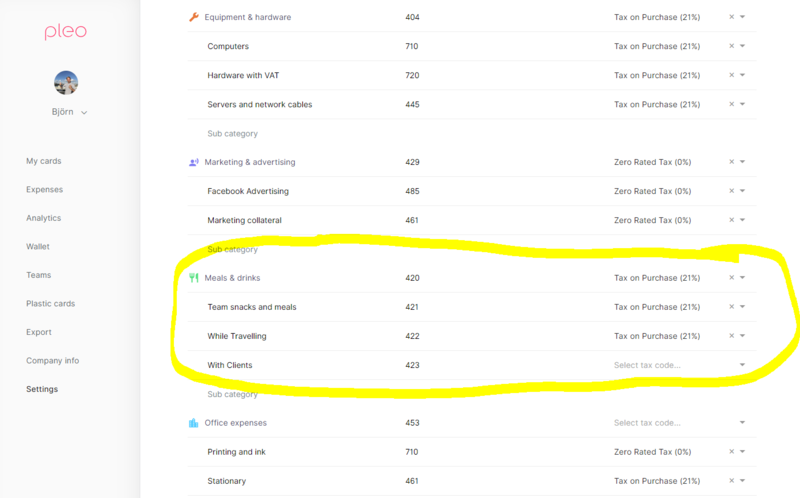 Head to "Settings - Categories"
The end user will then be able to chose the sub-category when making an expense report. Tip: make the names of the sub-categories as logical and simple as possible so your users know what to chose. As you can see, the category is attached to a nominal code and a tax rate - this is all done to save you time in the bookkeeping. When exporting, the right nominal code and tax rate will be applied.